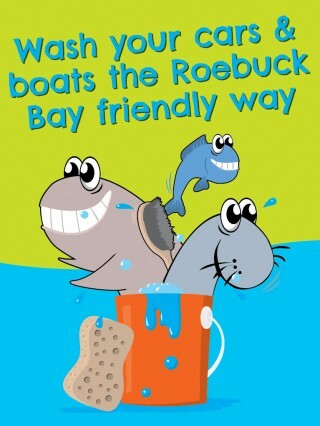 Washing cars or boats on cement driveways isn’t good for Roebuck Bay. The soapy water is likely to contain Phosphorous and chemicals which can run down the driveway and into stormwater drains. These pollutants are then washed into Roebuck bay during wet season downpours. Phosphorous in detergents can be food for the blooms of Lyngbya, which have been worsening in Roebuck Bay in recent years. These blooms impact the marine life in Roebuck Bay. Follow the tips on our new brochure to give dugongs, dolphins and salmon something to smile about in 2013! Look after Roebuck Bay’s Green turtles because the ‘wet’ is their nesting season. Did you know that Green turtles eat mangrove leaves, but their mainstay, is seagrass, eating around 2kg a day, so its really important not to fertilise lawns and gardens at this time of year, as the fertiliser is likely to be high in nutrients. During a downpour, fertilisers that havent been absorbed by the plants, are very likely to run off our gardens and lawns into stormwater drains and quickly become soluble food for Lyngbya blooms. 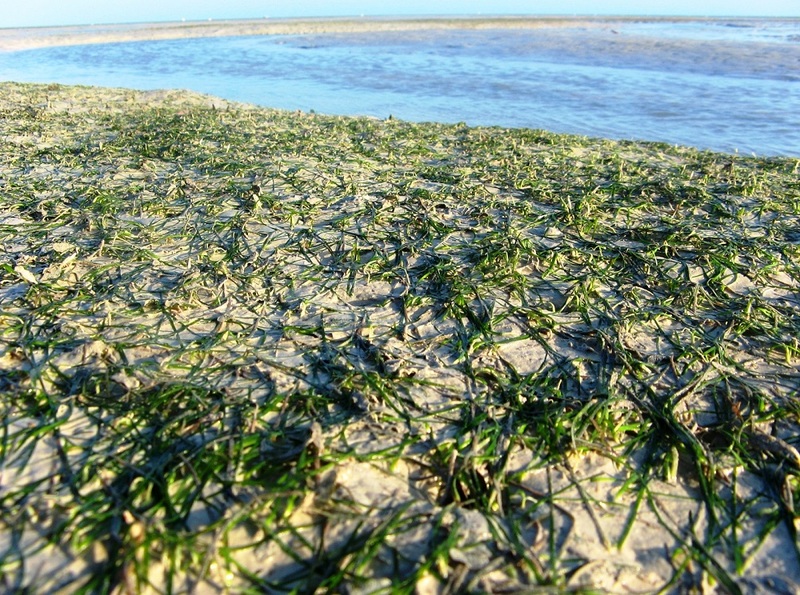 These blooms can kill off the seagrass, which is bad news for turtles trying to gain the energy to mate, produce their eggs and dig big nests on the beach! Green turtles are among the largest turtles in the world, weighing up to 317 kg. Unlike most sea turtles, adult Green turtles are herbivorous whilst juveniles eat invertebrates, crabs, jellyfish, and sponges.